This video walks the human through the process of increasing their value in the dog’s eyes by simply applying rules to feeding time. When the steps in our video are followed, the relationship between the dog and the human leader is enhanced, and defined. 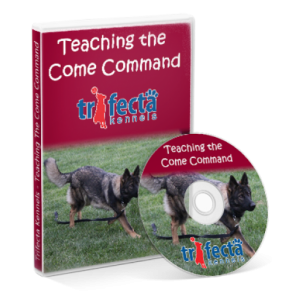 The Boss brings the goodies but the canine student has to be taught to say the canine equivalent of “Please, may I eat?” We really go into detail in this fun training clip to show you how to use this wonderful time, feeding time, as a training tool.